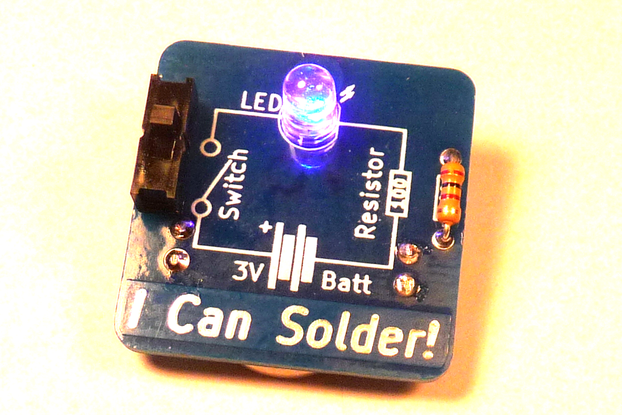 The perfect night-light, and a great way to learn how to solder. The Joule Thief is a clever little circuit that can light a LED with a battery that is nearly dead. It does this with a pair of opposing magnetic fields. I like this circuit because it is simple to build, yet demonstrates some very complex electrical behavior. 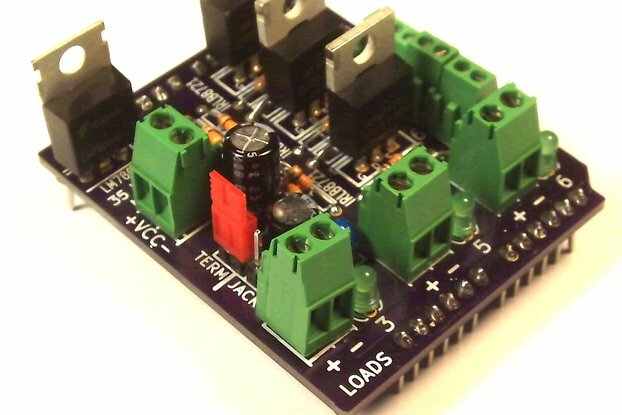 I've designed a printed circuit board to help make this easier to build for beginning Makers. I used open source KiCAD software to lay it out (a future Instructable? 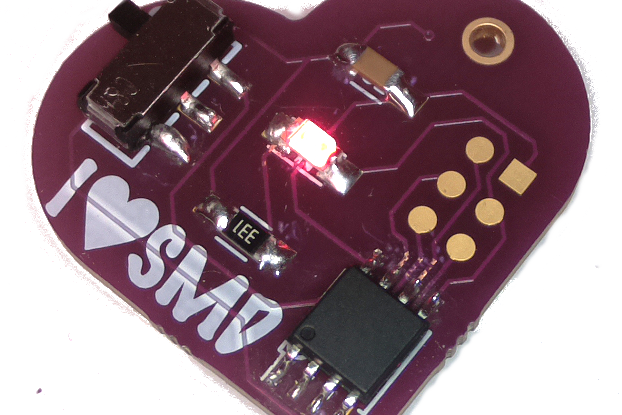 ), and OSHPark to manufacture it. If you want to just wire one up without the board, check out Angelo's Instructable which uses essentially the same circuit. 2 nanoseconds (about 24") of insulated wire. Two different colors are helpful. The Joule thief came on time. It was new-as advertised. I am very pleased with my order; and, I would definitely buy from this seller again. Wanted a little kit to demonstrate the joule thief circuit and this is perfect! Easy to assemble and compact; it makes the perfect little desk widget. I bought this kit as a beginning solderer, and it was very easy to understand and put together. The PCB is excellently made, and the 10mm LED is a good size and shape for making an LED lamp. 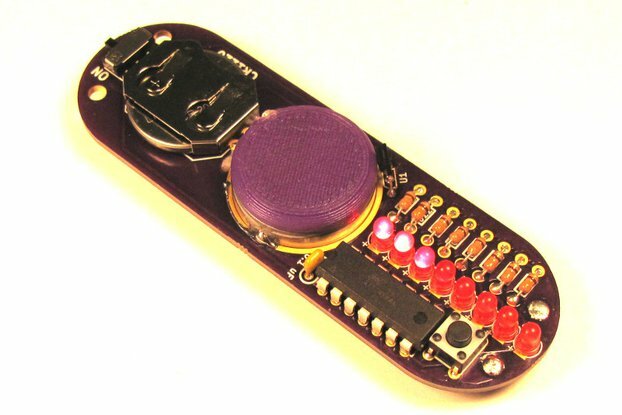 Used it as a first soldering kit for middle school students. They enjoyed the construction and the fact that it worked upon completion. They are now asking what the next project will be! I do love this little thing and i do use it at night to help my girlfriend to see leaving the bedroom.its nice to have a little light to see with.thanks albert.ps i may make coppies of this. The Joule Thief is an excellent little project. I chose the older, more compact version, and it was easy and fun to build. The instructions were thorough and easy to understand. I assembled my Joule Thief in about 45 minutes, and I was taking my time. Highly recommended as an introduction to soldering and electronic principles! We go thru so many batteries! Now go thru them a second time. I'm going to buy some for AAA when they are in stock. I'd like one for 9v too. The reasonable price sealed the deal. 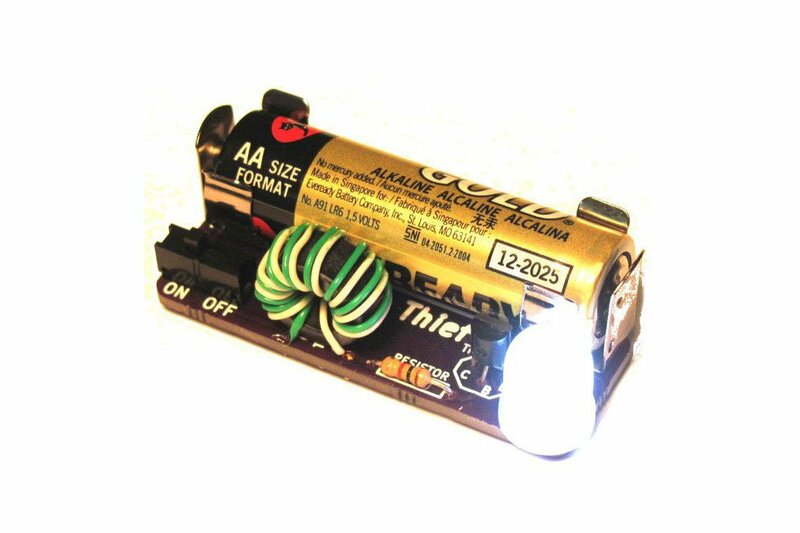 Great little Joule Thief kit; easy to assemble, the components look like they're good quality, the finished product looks good. 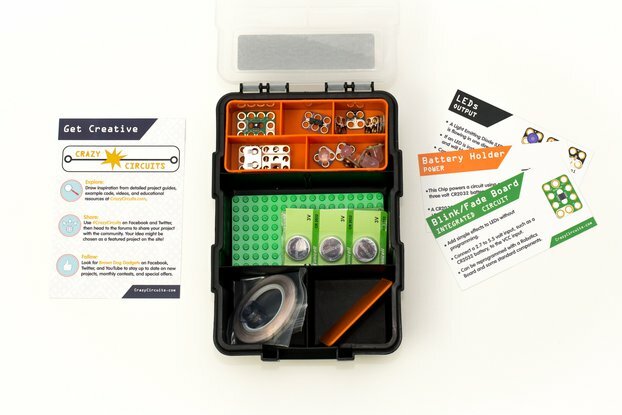 I'm using these kits as part of a DIY basic electronics class I'm teaching at the Artisan's Asylum makerspace here in the Boston area. They fit together well, the instructions are clear, I like the design. Great stuff! It was enjoyable to put together for a beginner. Nice feeling of accomplishment seeing the LED light up, powered by an (almost) dead battery. Great kit! Purchased a few of these kits. The assembly was easy and pretty straightforward. They work as expected. The only thing I noticed was that if you use the jumbo LED, the battery clip can be in the way a little bit. Not a big deal really, but the LED just does not sit flush as expected. It could become crooked if you don't allow for the leads to extend out a bit. Again, easy to assemble, and I really like the on/off switch that so many of the thief kits do not have. Would buy again and recommend. Just put one of these kits together and it was fun and easy! Good documentation with large, easy to see photos. Step-by-step explanation and links to materials to learn more about the circuit you just built. I'd recommend this kit to anyone, beginner to experienced, just for the fun of it! It was easy to put together, there's an instructables.com post on how to put everything together. Great little project and quick delivery. 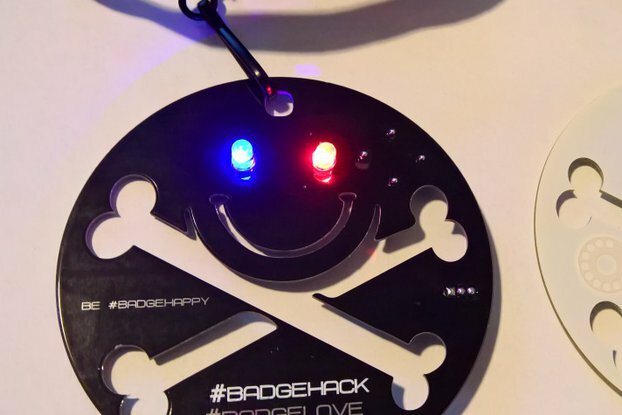 This is a great little project. We have made joule thieves before (see image) but had to source all the materials and build them ourselves. It is hard to beat the price of the Easy Joule Thief Soldering Kit even sourcing and building them ourselves. The URL on the package didn't work. I googled "Easy Joule Thief Soldering Kit" and found the instructable for documentation. The kit was easy to put together after that. I couldn't get ten turns on the torrid using the included wire, however the 8 turns worked OK. I used about 20 turns of 28 gauge different color enameled wire on second one and it works well too. Having a switch is nice. It is almost too darned bright! Thanks for taking the time to give a review! I'll take a look at the URL problem. I bought one of these, and they were such a hit with our family that we ended up buying more than a dozen. 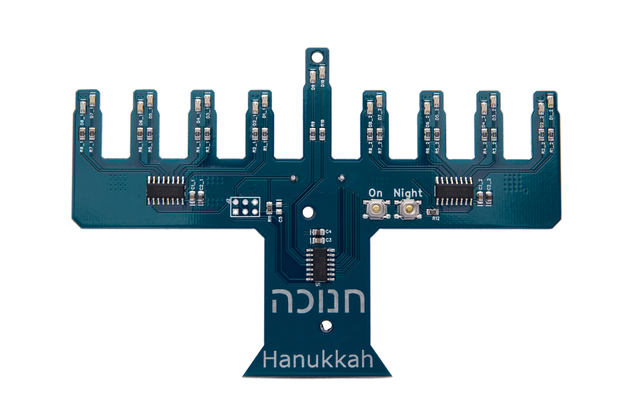 They're simple, easy to put together, great for learning how to solder, and are quite enjoyable after the assembly. I highly recommend them, especially as a little glowing trinket or something to use up those "dead" batteries. Thanks for the review! I'm glad your family enjoyed it.